Happy 2015! If you are like so many Americans, you probably made a pledge to yourself to work out more this year. But it is a well-documented statistic that the average person’s New Year’s resolution to get fit will fizzle within the first six months. According to Len Kravitz, PhD of the University of New Mexico, lack of time is a common excuse among exercise dropouts, and planning, organizing and prioritizing exercise are key to adhering to a regular exercise routine. Showing up at the gym each day is not enough to make your workout work. You need to identify the essential components of fitness, then devise a weekly schedule to implement them. 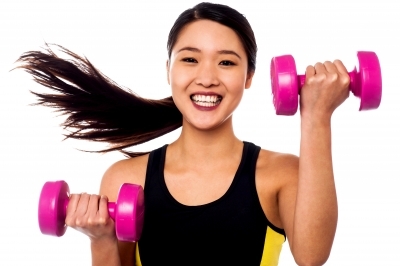 The American College of Sports Medicine has established guidelines for exercise success. For optimal fitness, you should perform 20 to 60 minutes of rhythmic aerobic exercise like walking, running, cycling or swimming three to five days per week; do at least one set of eight to10 exercises that condition all your major muscle groups on two to three non-consecutive days per week; and perform stretches for all your major muscle groups on at least two to three days per week. Once you understand the fundamentals, you can easily plug them into your personal weekly schedule. For example, you could plan to do aerobic exercise on Monday, Wednesday, Friday and one weekend day, and to do resistance training and stretching on Tuesday and Thursday. Or you could do your cardio in the morning, and stretching and resistance training in the afternoon or evening. You could break your resistance training into muscle groups, doing chest, triceps and shoulder exercises on one day, back and biceps on another day, and legs on a third day. The possibilities are endless. While lack of time may seem like a legitimate excuse for skipping your workout, the poor health that results from a sedentary lifestyle will ultimately rob you of quality time. 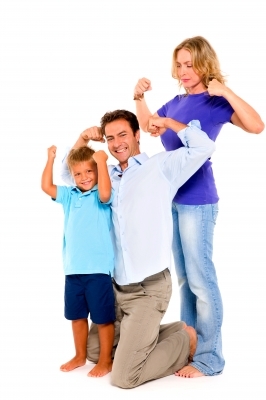 If going to the gym takes you away from your family, consider doing a daily family exercise session at home. Not only will you become more fit, but you will teach your children a valuable life lesson about self-care. Another strategy is to break your daily exercise into manageable chunks, rather than doing all of it in one extended session. A 15 minute walk or run before work, another during your lunch break, and another after work can add up to significant fitness gains. To learn more about obtaining optimal physical well-being, consider enrolling in the W.I.T.S Certified Personal Trainer course, or the Lifestyle Fitness Coaching course, both available online. W.I.T.S. is pleased to introduce our new blogger, Michelle Matte CSCS. Michelle will be sharing her personal, professional, and educational experiences in her biweekly posts! Len Kravitz, PhD: Exercise Motivation: What Starts and Keeps People Exercising? Next post: When Dreams Become Goals, Miracles Happen! Thoughts for You and Your Clients!